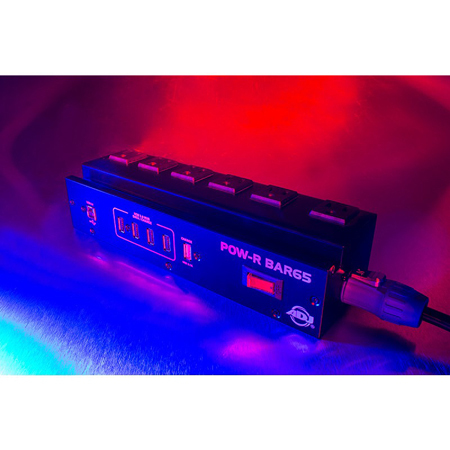 The ADJ POW-R BAR65 is a forward-thinking tool for any working entertainer, stage or installation that helps make connecting electronics easier. 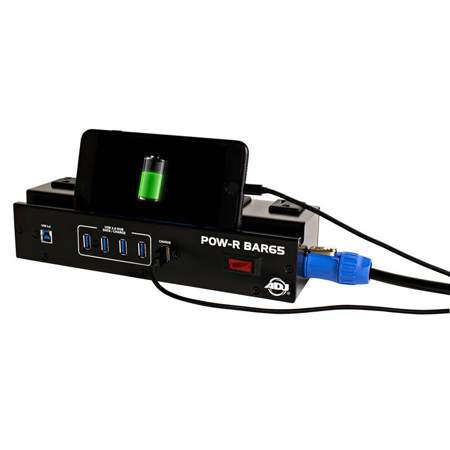 It incorporates 6 surge-protected AC power sockets and 4-port USB 3.0 hub in one power block. 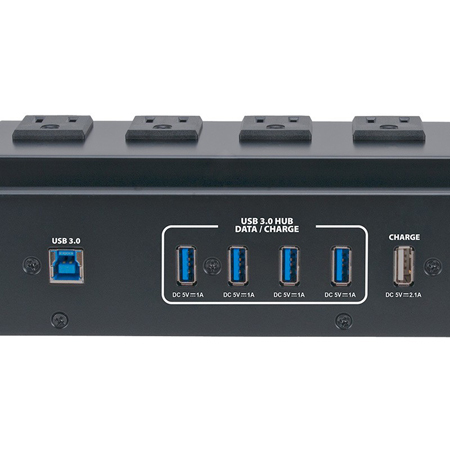 All USB ports are "live" for charging whether there is a hub attached or not. 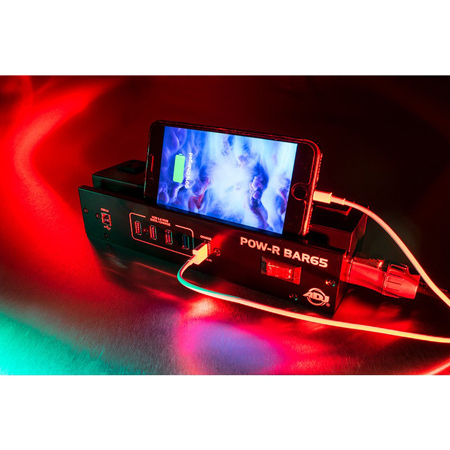 There is also an additional USB port that allows for a mobile device, such as a mobile phone or tablet, to charge its battery. The ADJ POW-R BAR65 is constructed of heavy-duty of metal and is designed for the rigors of stage and touring. 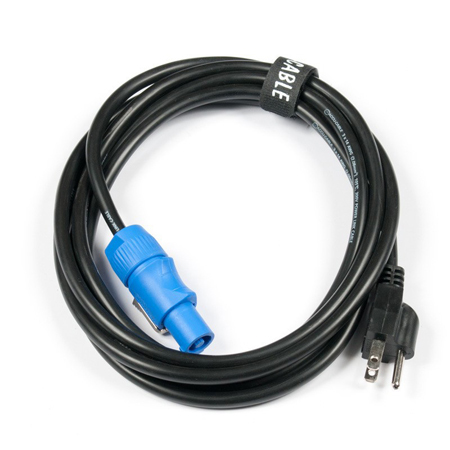 It comes with a locking powerCON 3-prong Edison 6-foot cord. 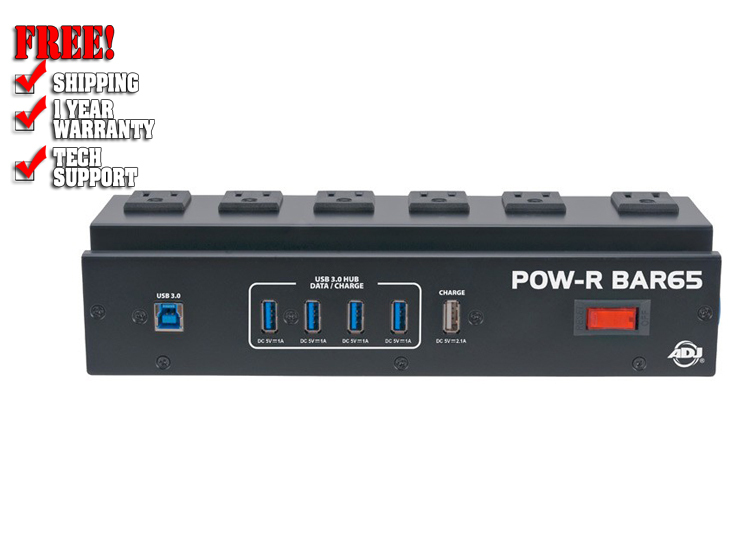 The ADJ POW-R BAR65 is designed for Front of House and lighting control desks, club and mobile DJ rigs, computer work stations and studio spaces. 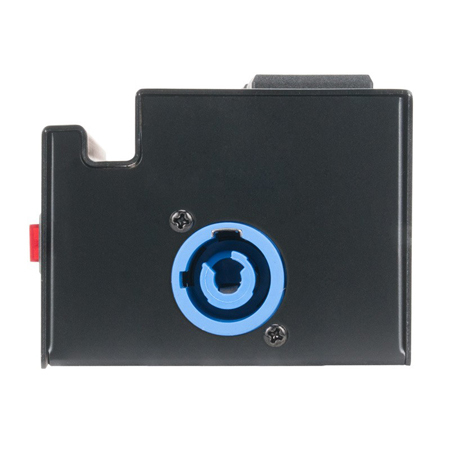 Has outlets spaced widely enough for five bulky transformer "wall warts"
Dimensions: 12.6" x 2.3" x 2.5"